With 195,585 views on Saturday, 13 April 2019 our article of the day is Tiger Woods. Eldrick Tont "Tiger" Woods (born December 30, 1975) is an American professional golfer who is generally considered to be one of the greatest golfers of all time, currently placing second in both majors and PGA Tour wins, as well as holding numerous records in golf. Following an outstanding junior, college, and amateur golfing career, Woods turned professional in 1996 at the age of 20. By the end of April 1997, he had won three PGA Tour events in addition to his first major, the 1997 Masters, which he won by 12 strokes in a record-breaking performance. He first reached the number one position in the world rankings in June 1997, less than a year after turning pro. Throughout the first decade of the 21st century, Woods was the dominant force in golf; he was the top-ranked golfer in the world from August 1999 to September 2004 (264 weeks) and again from June 2005 to October 2010 (281 weeks). Woods took a self-imposed hiatus from professional golf from December 2009 to early April 2010 in a vain attempt to resolve marital issues with his estranged wife Elin. The couple eventually divorced. His many alleged extramarital indiscretions were revealed by several women through worldwide media sources. Woods' personal problems coincided with a series of injuries, treatments by the controversial doctor Anthony Galea (who has been linked to performance-enhancing drugs), and a loss of golf form. His placement in the Official World Golf Rankings fell to No. 58 in November 2011. Woods ended a career-high winless streak of 107 weeks when he triumphed in the Chevron World Challenge in December 2011. After winning the Arnold Palmer Invitational on March 25, 2013, he ascended to the No. 1 ranking once again, holding the top spot until May 2014; by that time, he had been ranked number one for a record lifetime total of 683 weeks. From 2014 to 2017, Woods was unable to recapture his dominant form, undergoing four back surgeries in 2014, 2015 and 2017. After falling to no. 1199 in the World Golf Ranking in December 2017, Woods's ranking improved more than 1,000 places by mid-2018. In September 2018, he won his first tournament in five years with a victory at the Tour Championship and moved to No. 13 in the Official World Golf Ranking. Woods has broken numerous golf records. He has been World Number One for the most consecutive weeks and for the greatest total number of weeks of any golfer. He has been awarded PGA Player of the Year a record eleven times and has won the Byron Nelson Award for lowest adjusted scoring average a record eight times. Woods has the record of leading the money list in ten different seasons. He has won 14 professional major golf championships (trailing only Jack Nicklaus, who leads with 18) and 80 PGA Tour events (second all-time behind Sam Snead, who won 82). Woods leads all active golfers in career major wins and career PGA Tour wins. He is the youngest player to achieve the career Grand Slam, and is only the second golfer (after Nicklaus) to have achieved a career Grand Slam three times. Woods has won 18 World Golf Championships. This recording reflects the Wikipedia text as of 02:02 UTC on Sunday, 14 April 2019. For the full current version of the article, see Tiger Woods on Wikipedia. This has been Justin. 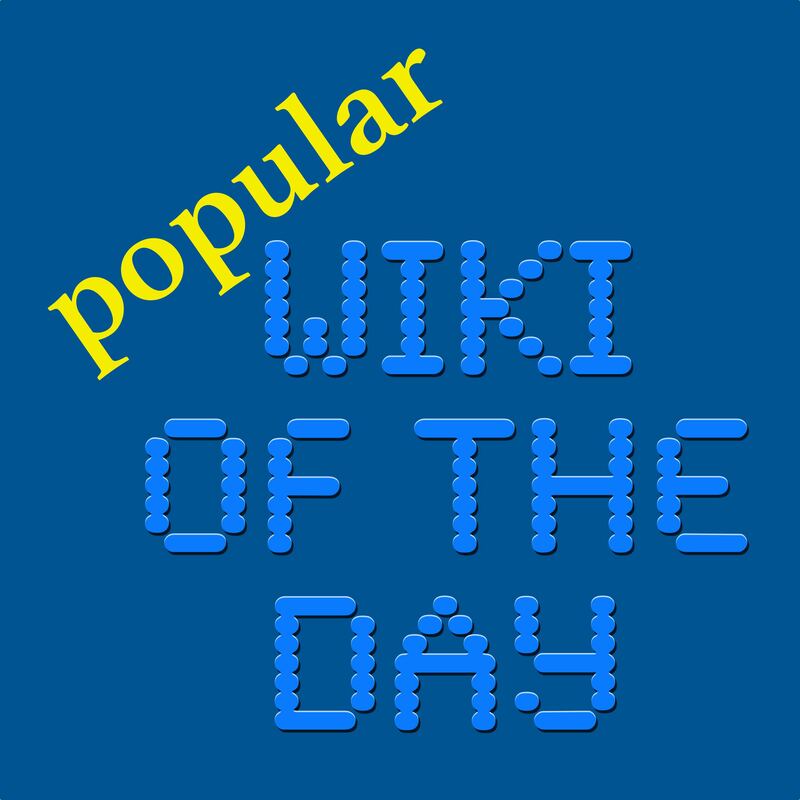 Thank you for listening to popular Wiki of the Day.